The IP manager is primarily focussed on the Internet usage tracking side of Jet. 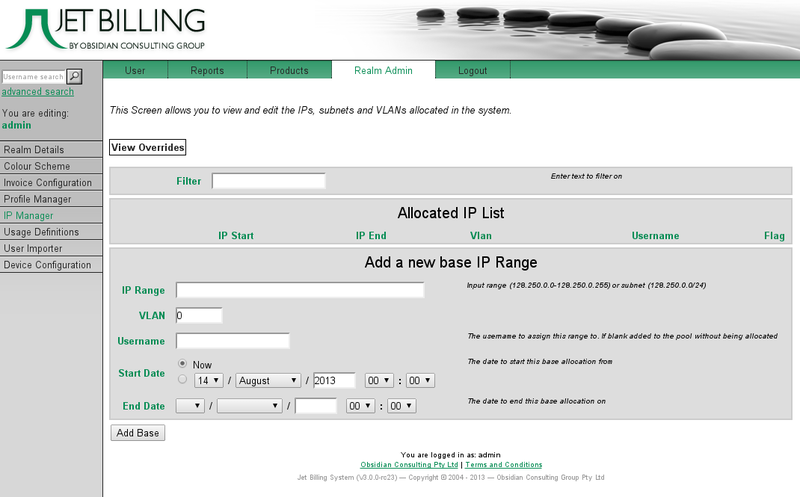 It provides a way to automatically map IP address ranges or a single IP address to a username. This is most useful for devices with a static network address such as a server. Or in other cases where it is not feasible to require manual logins for the machine/IP.